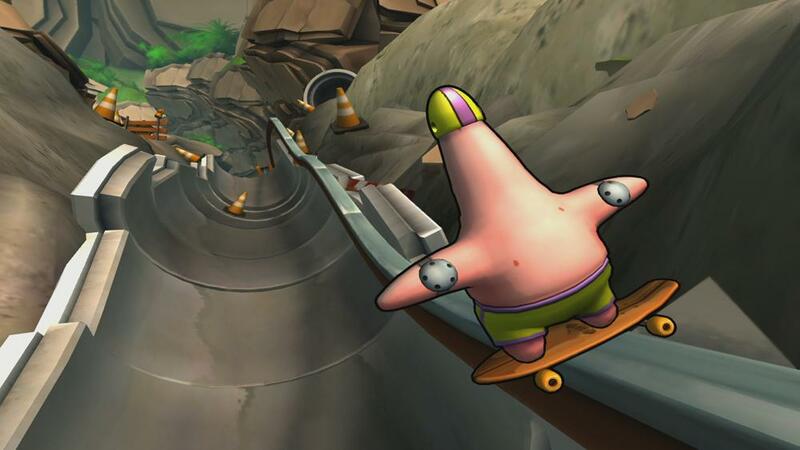 GRAB YOUR BOARD. 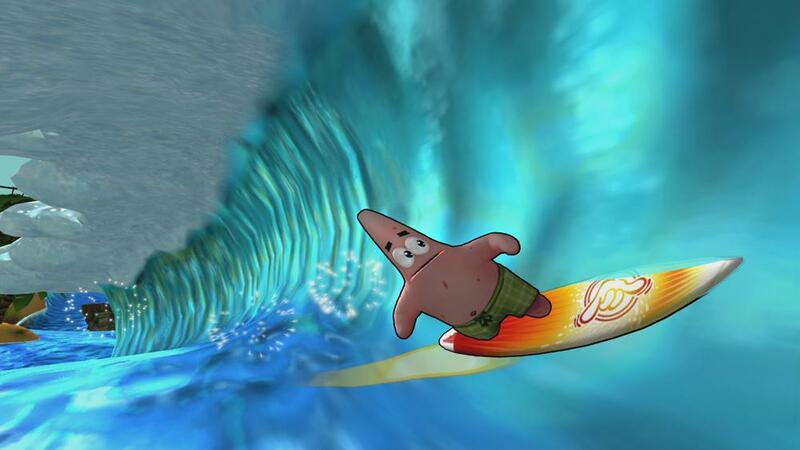 CARVE IT UP! 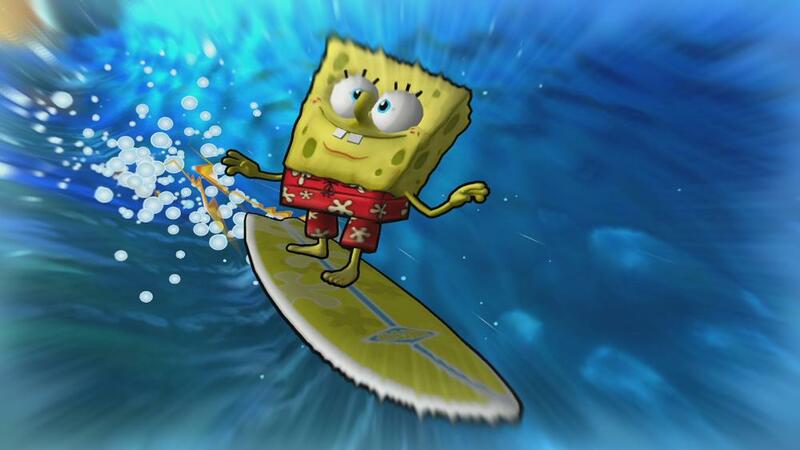 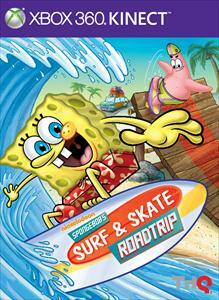 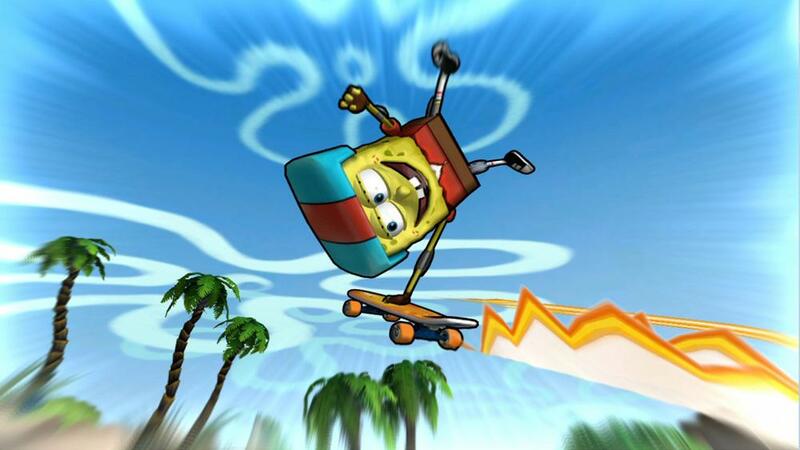 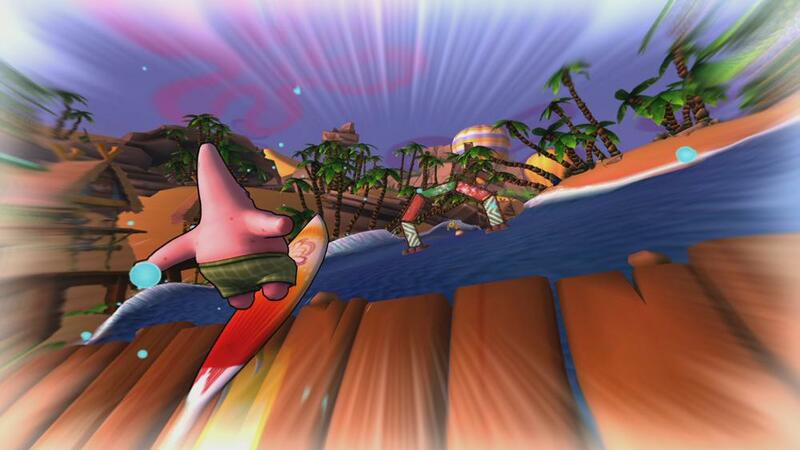 Hit the sand and surf with SpongeBob and his best pal, Patrick, for some super boarding escapades! 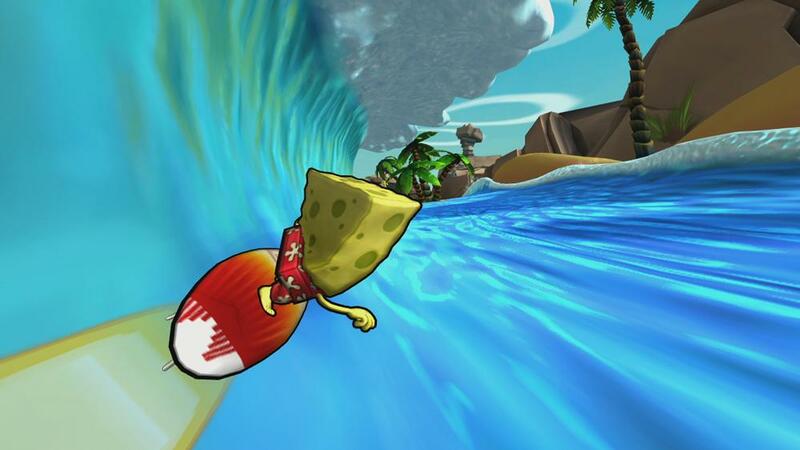 Ride mondo waves and winding waterways, and skate gnarly seaside streets and ramps for hours of challenges that'll test your awesome boarding skills. 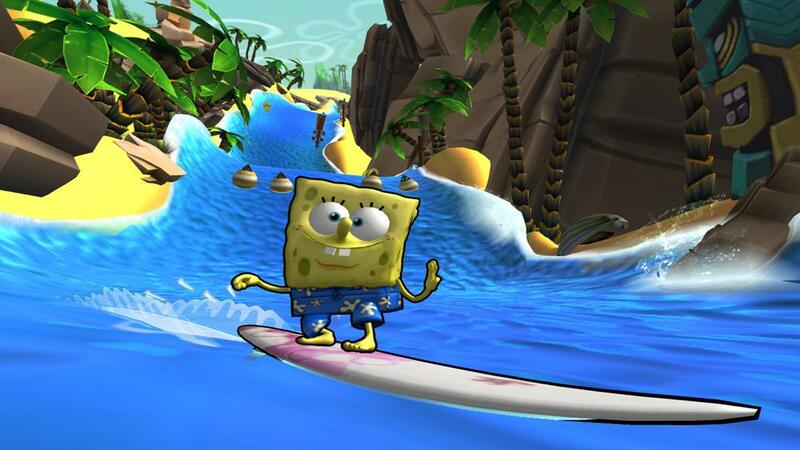 For the first time ever, you can BE SpongeBob. 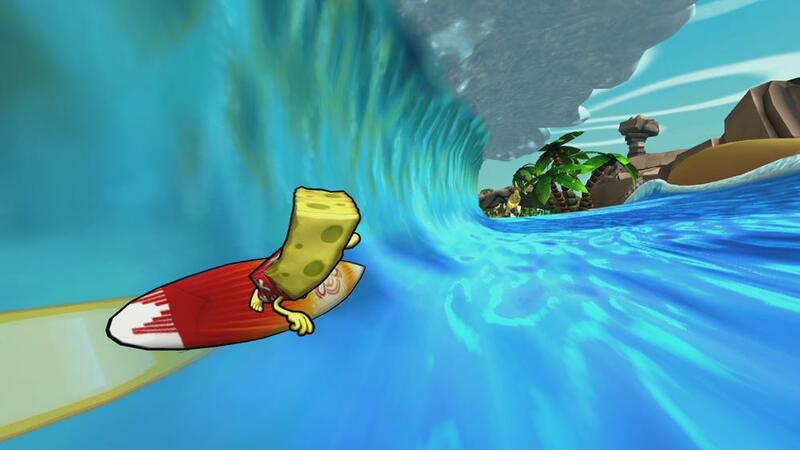 Augmented reality-move your hand through the water and watch it splash. 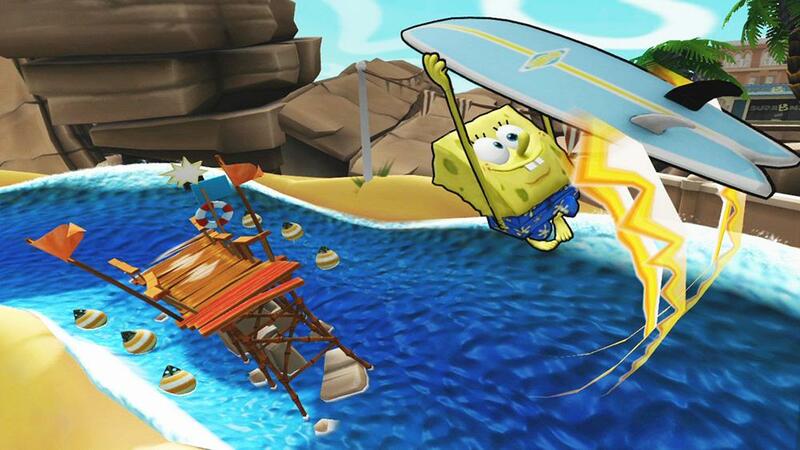 Compete and play with friends - show off your awesome tricks and mind-blowing stunts in head-to-head play in 12 awe-inspiring environments - 6 for each sport.